I am a corporate trainer, consultant, and executive coach. I’m also a gardener. 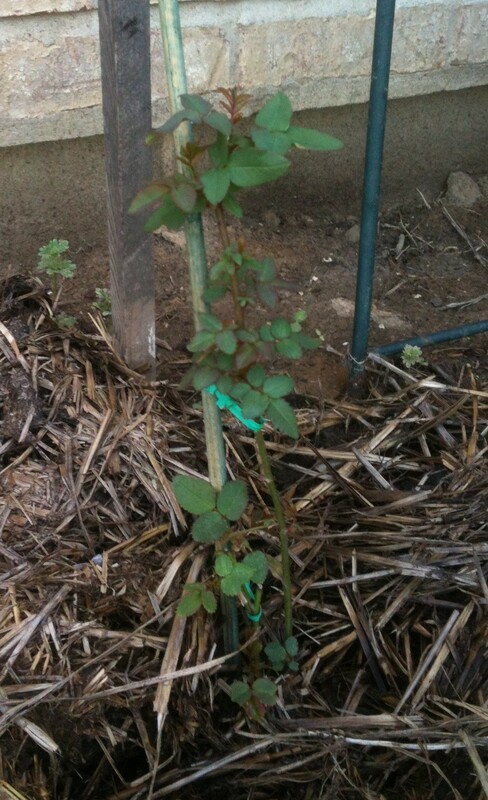 Today is a beautiful day in April and I just discovered some animal – probably a rabbit – has chewed off the leaves of my newly planted climbing rose. I am so disappointed because I ordered that rose during the winter and have been looking forward to it for months. Now, it’s just a leafless stick. Will it still grow? Maybe. I also planted snow peas and onions two weeks ago but still no sign of life from them. We’ve had a very cold spring here and it has snowed a few times since I planted. They might grow – they might not. I used to get upset when what I planted failed. Then I learned a new truth about gardens, business, and life – I can replant. Replanting my failed garden greatly increases my odds of success. To keep planting with sales calls and new business initiatives also increases my odds. Replanting with damaged relationships does too. Keep planting means you’re not giving up. It takes optimism and energy to keep planting. It takes courage. And we are usually smarter by the time we replant. We learn from the first planting how to do it differently. We gain knowledge and experience even when we fail. Old gardeners, old business people, and old people usually have lots of experience because they’ve failed a lot. So the key idea is this: Set your goals, determine your plan to achieve those goals, and execute your plans. Then don’t be surprised if your efforts don’t immediately produce results. There may be a rabbit at work. Keep up your efforts. Keep making calls. Keep calling, or keep building, or keep producing, or keep doing whatever creates success for you. Keep planting until you achieve the goal you’ve set and you’re smelling the roses or eating the veggies. And here’s another great thing about planting; the more I plant, the more I harvest. If I sow 50 feet of seeds I’m going to get much more than if plant 10 feet of seeds. This has saved my garden from mediocrity many times. It’s also saved my life and business from mediocrity. If you don’t like the results you’re getting, keep planting. If you’re doing good things that should produce results, maybe you’re doing them too small or your timing is off. Do it again and see what happens. Keep planting is one strategy to success in business, sales, relationships, …and gardening.